Author: Thomas, Dylan Set In . . . Description: The enduring holiday classic, lavishly illustrated by multiple Caldecott Medalist Trina Schart Hyman, is now available in a gift edition for a new generation of readers. 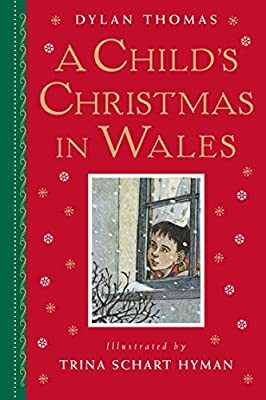 This nostalgic recollection of Christmas past by celebrated Welsh poet Dylan Thomas evokes the beauty and tradition of the season at every turn: the warmth of a family gathering; the loveliness of a mistletoe-decked home; the predictability of cats by the fire; the mischief and fun of children left to their own devices; and the sheer delight of gifts--be they Useful or Useless. Brilliantly illustrated by Caldecott medalist Trina Schart Hyman with a combination of more than 40 full-color and sepia-toned images, this beautiful edition of Thomas's beloved classic will enchant readers of all ages, year after year.